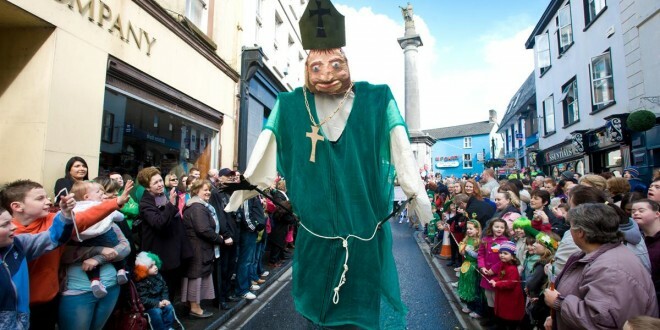 PLANS are underway for this year’s St Patrick’s Day parade in Ennis with the theme ‘The Life of Brian Boú’. The parade will follow the established route from Áras Contae an Chláir, New Road and proceed along Newbridge Road, O’Connell Square, O’Connell Street and to terminate in the market. The parade will commence at 11am and is expected to take between an hour and an hour and a half to pass the reviewing stand which will be located in O’Connell Square. There will be some level of pedestrianisation at either side of the parade event, but it is not envisaged there will be full pedestrianisation. This year a delegation from Lagenfeld in Germany will be visiting Ennis for the St Patrick’s festivities. Invitations have also been sent by Ennis Town Council to St Paul de Fenouillet in France and Phoenix, Arizona who have twinning relationships with Ennis.